mages with a Star Sky 90mm F5.5 500mm focal length Telescope with a Sony SLT 65A ISO 3200 at 30 seconds. 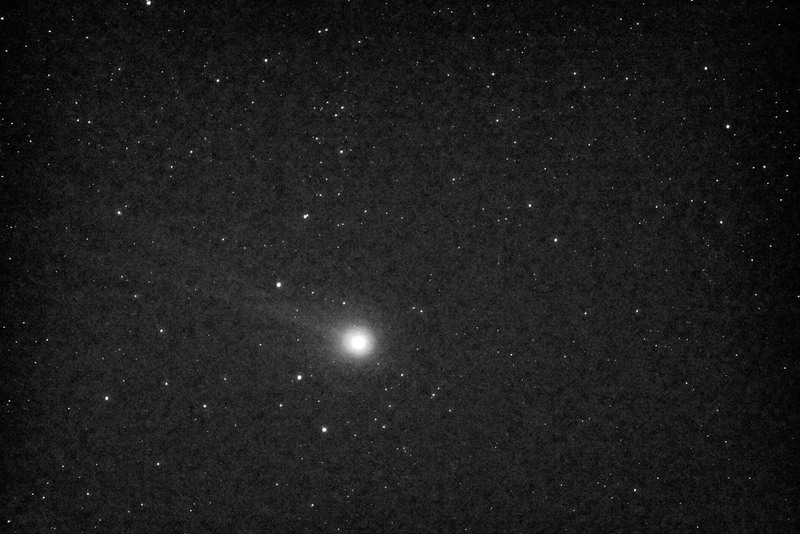 and mounted a Super Polaris mount driven in R.A. Site 50 07' 49 N 0 12' 32.3W JPG 1372 is the B&W image taken at 20.31 and the Blue 1374 taken at 30.36. My site suffers from very sever light polluttion and at the time there was a heavy haze forming as the air temperature and dew point were almost the same. There are eleven sodium ligths which directly affect my site. Gatwick airport is less than one mile to the North .